A decision will today be made on whether union members will strike over plans to close London Underground ticket offices. The Rail Maritime and Transport union will announce the result of a ballot for industrial action over the proposals. 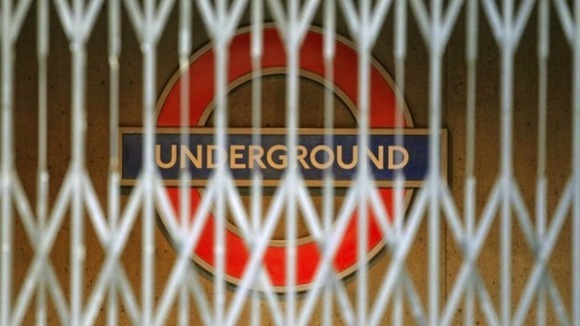 Members of the Transport Salaried Staffs Association will also vote in the coming weeks on whether to launch a campaign of action in protest at the closure of all 260 Tube ticket offices, with the loss of hundreds of jobs. The TSSA union gave London Underground seven days notice of a ballot which will start on January 17 and end on January 27. Any industrial action could start from February 3 in the event of a yes vote, with the two unions likely to co-ordinate strikes. TSSA general secretary Manuel Cortes blamed the ballot on the "reckless" behaviour of London Mayor Boris Johnson who he said was refusing to meet the unions over their genuine fears for safety and security. He said: "It was the Mayor who came into office in 2008 with a firm pledge to keep open every ticket office on the grounds of keeping passengers safe and secure at all times. "Now he wants to scrap the lot, claiming there will be no problems because he will keep staff on station platforms, those that keep their jobs, that is. "He wants to scrap permanent station supervisors who are in charge of evacuations and replace them with mobile supervisors who will travel from station to station. "But he will not answer the question: 'How mobile can you be if all lines are in lockdown because of an emergency and nothing is moving whatsoever?"'. Transport for London said sales at ticket offices only accounted for around 3% of all journeys, after announcing that staff would be switched to station concourses. RMT general secretary Bob Crow said: "In the teeth of cuts to jobs and capacity that would leave the underground as a dangerous, hollowed out shell, the maximum unity amongst the workforce left to face the consequences is essential. "Not only are nearly 1,000 jobs on the line but those left to pick up the pieces face the humiliation of having to re-apply for their own jobs. "That is a scandal as the overcrowded Tube network faces continuing demand and pressures that would stretch safety beyond the limits if these cuts aren't stopped." Phil Hufton, London Underground's chief operating officer, said: "People are at the heart of our vision for the future of the Tube - our customers and staff - and we've made a series of clear commitments about how we'll introduce these changes. "We've promised customers that we'll introduce a 24-hour Tube service on five lines during 2015, and our commitment is that all Tube stations will remain staffed at all times when services are operating. "In future there'll be more staff in ticket halls and on gatelines to help customers buy the right ticket and keep them safe and secure. "We're clear that there'll be a job for everyone at LU who wants to work for us and be flexible, that we'll make these changes with no compulsory redundancies, and that we'll involve staff in our plans at every stage and support them through change. "We are now consulting with our unions and staff on our future vision, and I would urge the TSSA leadership to work with us to shape our plans, rather than threaten hard-working Londoners with completely unnecessary strike action."